APPA Scotland has developed a curriculum for well-being that ties in with Es&Os of Scottish education and Key Stage 3 for English education. The curriculum also works in conjunction with our well-being assessment. Assessing pupils at the start of the term and following the curriculum enables young people to easily transition into High School. It also gives teachers a precise idea of where to target support. The APPA well-being curriculum for S1/Year 7 ties in with the APPA well-being assessment. With an initial assessment at the start of the year and then assessments at the end of each term, it is possible to provide the S2/Year 8 support teachers with A complete picture of the young people in their classes. This pdf shows an overview of our curriculum. Showing the topics that are covered in each lesson and term. It also outlines the links to SHANARRI, Es&Os and KS3 PSHE curriculum for each lesson. Spring 4 – What makes people unique? This pdf is an example of one of our lesson plans for a Spring term lesson on what makes people unique. The lesson plan includes details for a lesson objective, key vocabulary, discussion points, an independent activity and homework. It also outlines the links to improving well-being and provides a tool to help teachers track the progress of their students. 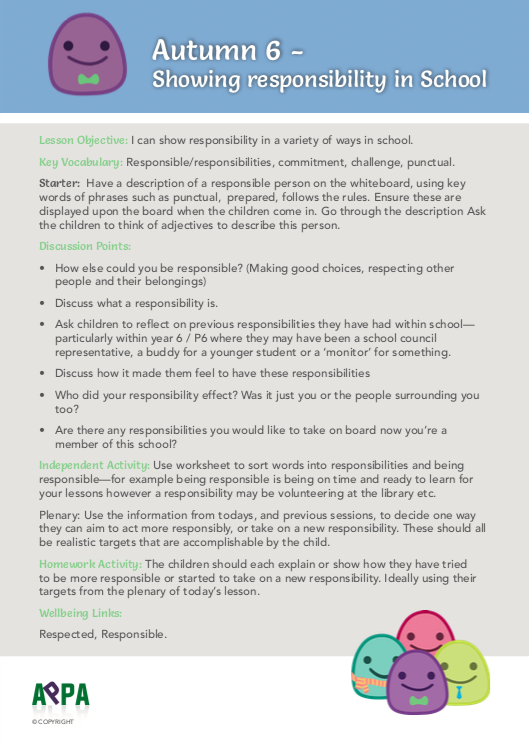 This pdf is an example of one of our lesson plans for an Autumn term lesson on showing responsibility in school. The lesson plan includes details for a lesson objective, key vocabulary, discussion points, an independent activity and homework. 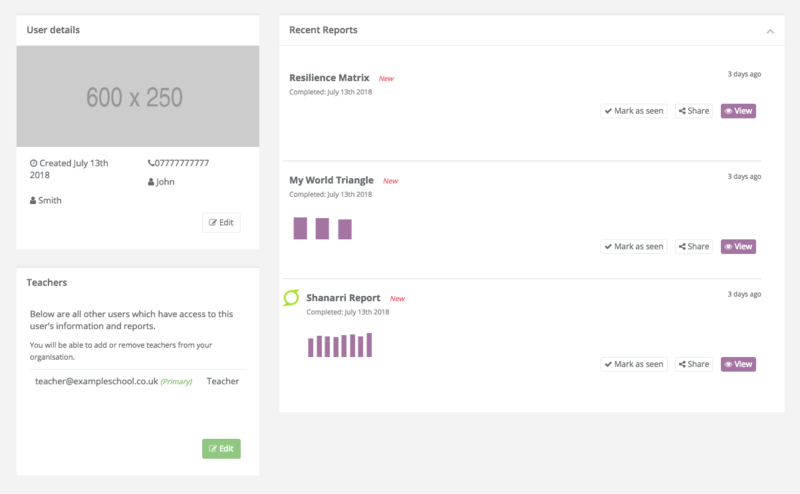 It also outlines the links to well-being and provides a tool to help teachers track the progress of their students.